The present church was built in 1821 replacing an older church known as The Blessed Virgin. This medieval church or chapel was located on the same site now occupied by the present 1821 church. 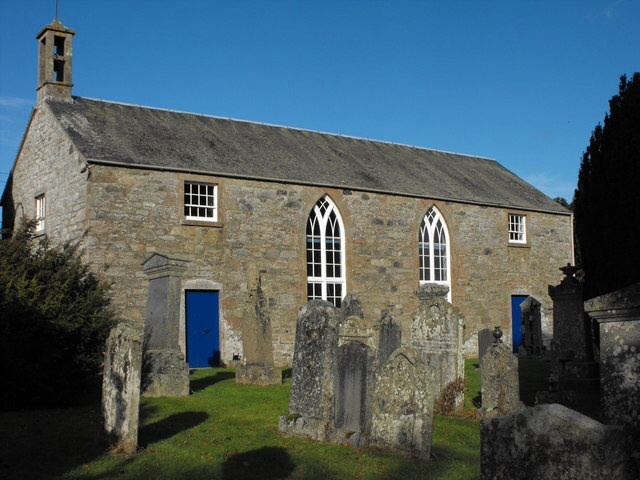 It was known at various times as The Church of Glenylit or Glenlyefe (Glenisla) and was dedicated to the Blessed Virgin. The church was gifted to the Abbey of Cambuskenneth by King William the Lion and it is mentioned in tax records of 1275. It was in the diocese of Brechin. 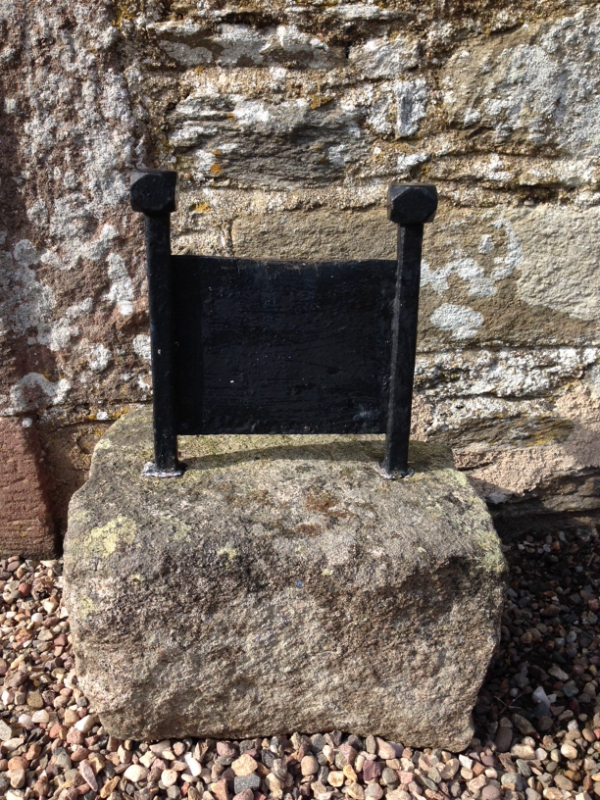 The patronage of the church transferred to Cupar in 1311. South of the church, near the graveyard, was the Lady Well, but this was filled in a long time ago. A mention of Glenisla church is also made in a History of Banff Estate by George Halliburton in 1627. After numerous repairs and renovations in the 17th and 18th century, the church was deemed beyond repair and was replaced by the current parish church, which was built in 1821. The church today is a very simple building with a seating capacity which has been reduced from the seven hundred seats when it was built to the present one hundred and seventy seats. Located at the west end of Glenisla village, on the B951, this small Gothic, B-listed church sits in a graveyard much older than the current structure. It was built in coursed rubble, with ashlar surrounds and corner stones (quoins). The roofs are slated. The symmetrical south elevation makes use of the light and has two very large pointed-arch windows centrally placed, which flood the interior with light. They have simple timber Y-tracery and multi-paned glass. To either side are two small rectangular doorways giving access to the church. Above each door is a single rectangular, multi-paned window, reaching the wallhead. The western one lights the gallery. The north elevation, facing the road, has only two small, rectangular multi-pane windows on either side of the large hearse house, which was attached at a later date. The west gable of the church has two rectangular multi-pane windows, one of which lights the vestry and the other lights the gallery above. 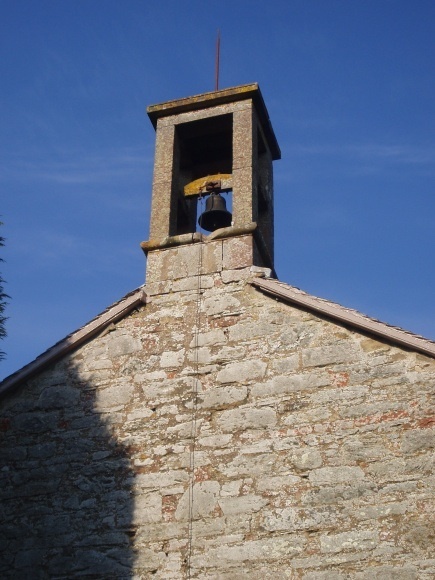 On the apex of the gable is a simple rectangular open bellcote, from which hangs the original bell, operated by an external pull. The east gable is blank apart from a rectangular multi-pane window towards the gablehead, which lights the pulpit inside. Easy access to car parking is available. The interior of the church is simple and light and the furnishing mostly dates from 1952, when the interior was re-fitted and renovated. At the east end is the sanctuary area with pulpit, font, communion table and lectern, all wooden and fairly simply decorated. The pulpit has a backboard and sounding board above, which is unusual for a small rural church. The pulpit is soft aqua with white detailing, mirroring the internal doors and wooden panelling. In addition to the late 20th Century organ there is a separate keyboard and an original pedal powered harmonium. This is an unusually light church with an abundance of natural light flooding in through the gothic windows. The pews of the church are simple and wooden, and also painted soft aqua. They may be the original pews and re-fitted during the 1950s renovation. At the rear are a number of box pews. The balcony seats 50 and has a simple panelled front. It is supported by the south and north wall and by a large timber beam. There is also a vestry but no running water.